Learn more about what it takes to become a student in Geosciences. Whether as an undergraduate major, minor or in pursuing a graduate degree in Oceanography, ocean sciences advance our understanding of perhaps the most influential force on our Earth system's processes ­- our oceans - and perhaps the least understood. Explore the world to investigate the complex questions of the oceans' future, present and past through an immersive interdisciplinary education, both in the labs and in the field, in Ocean Climate, Marine Ecosystem Science and Health, Ocean Observing Science and Technology, and Ocean Energy. 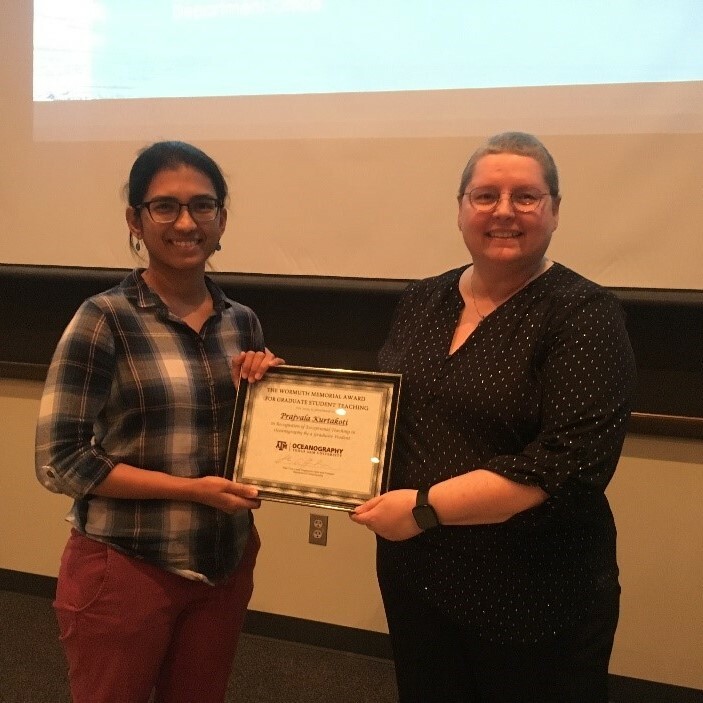 Prajvala Kurtakoti won the ‘John Wormuth Memorial Award for Excellence in Undergraduate Teaching’ and Laramie Jensen won the 'Chapman Award for Graduate Research’. The Aggies Celebrate Teaching Award honors Thyng for her excellent and transformational teaching. 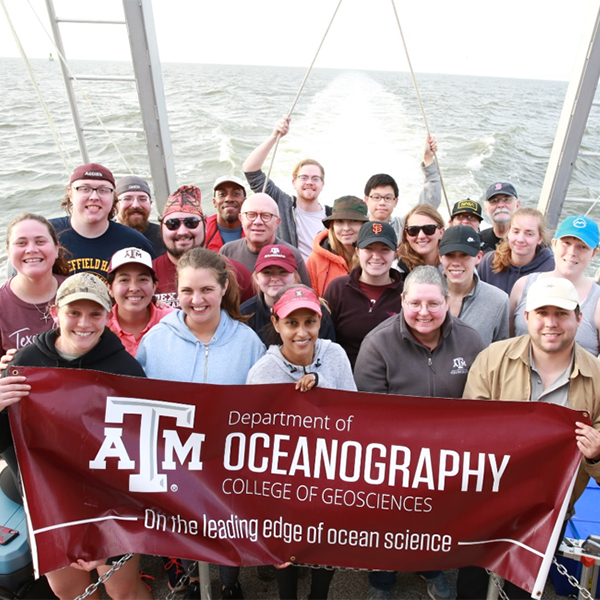 During regularly-scheduled sampling March 23 at several sites in Galveston Bay, Texas A&M Oceanography researchers observed abnormal water conditions; toxicity data from water samples will be available after April 8.